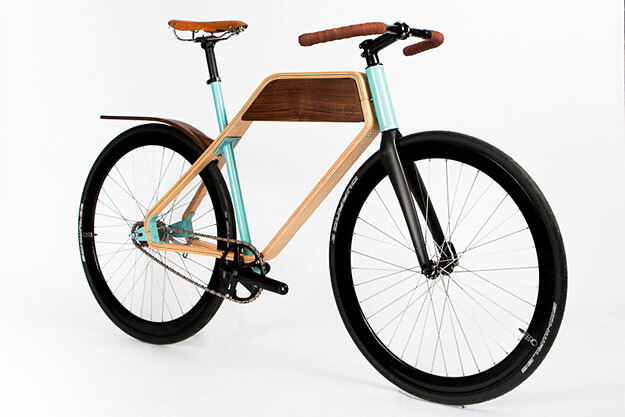 You’ve got to give kudos to anyone that tries to break the bicycle out of its traditional double-triangle diamond frame design. 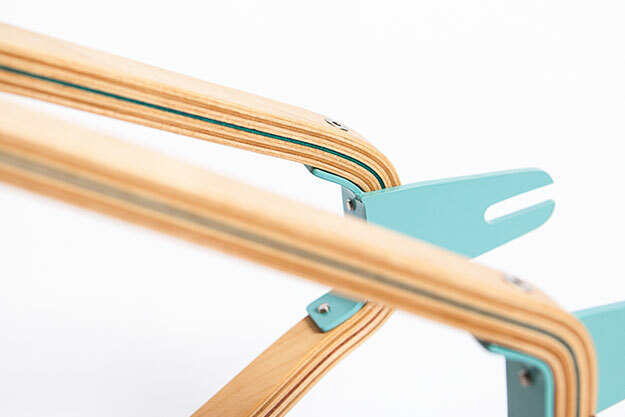 It may be considered the optimum layout, but that’s no reason not to explore other options. 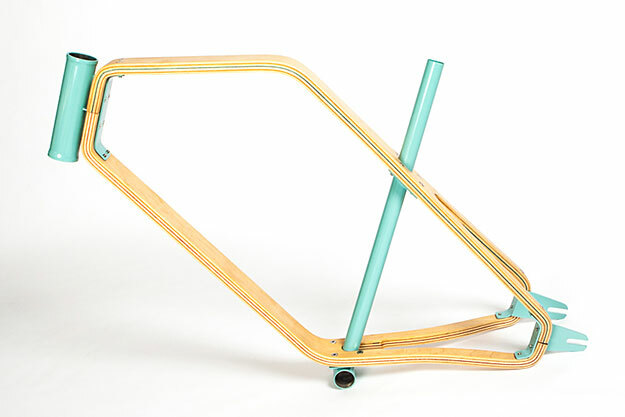 Leave it to RUPHUS, an interior/product design studio from that epicentre of American bicycle culture, Portland, to create a feasible, eye-pleasing and alternate frame out of wood, no less. 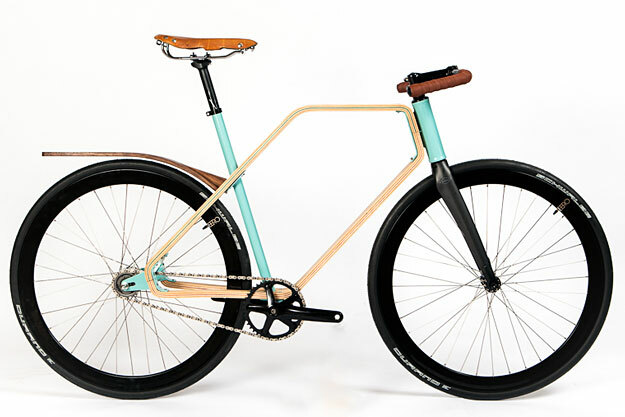 The Woodsman’s frame is half skateboard: 11 layers of Canadian Maple is laminated with carbon fibre, so it’s possible to vary the ‘pop’. 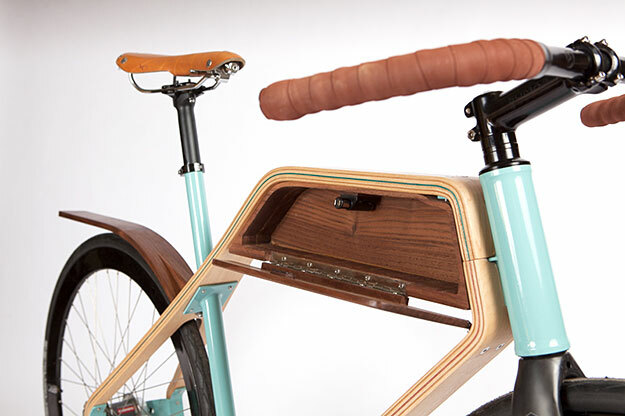 A removable glovebox was designed to fit underneath the top spar and a 2-speed, automatically-shifting rear hub and coaster brake was used. 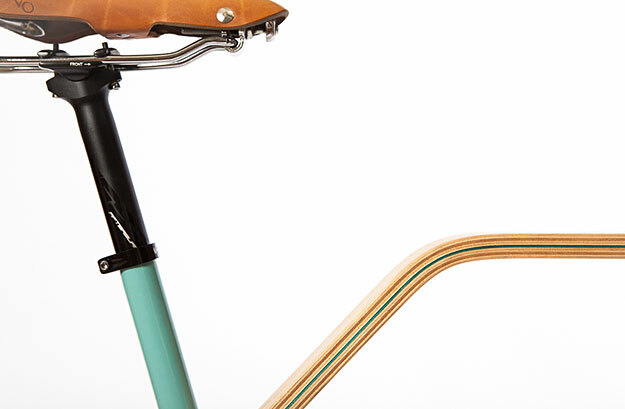 The integrated rear fender is made from walnut, resulting in a tasty and tidy urban transport solution. Read more on the RUPHUS website. Special thanks to Heath Korvola for the photos.